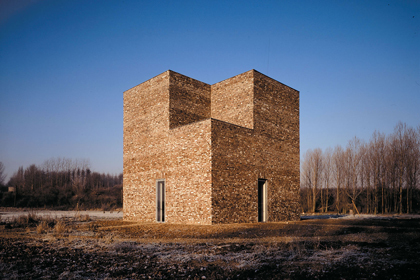 This spring I had the chance to experience the majesty of a fully alive sound environment in the Hombroich Tower in Germany. Its inner hall is built according to acoustic specifications. The natural reverberation in this place is so extreme – it surpasses all comparisons. The recording has been done by placing a small digital recorder in a corner of the hall. I play on my carbon fibre cello. The “Museumsinsel Hombroich” is a museum, where art, nature and architecture are combined in a wonderful and absolutely unique way. The Tower is part of many architectural buildings and museums on a vast site.